It has long been a problem for iPhone user restoring broken or deleted files from their devices. But this is changing. Enigma Recovery is an iPhone data recovery software program that is the full package when it comes to data recovery. The first software to give iOS device users complete control over their ability to backup and restore their devices is here! If you have ever lost or accidentally deleted invaluable data from your iPhone this advanced software can help you. Enigma allows customers to retrieve lost files from iTunes or iCloud backups on your iOS devices. Users can select to export or restore the data. This includes important file types such as deleted messages, recent call history, contacts, calendar objects, notes, pics, and videos. 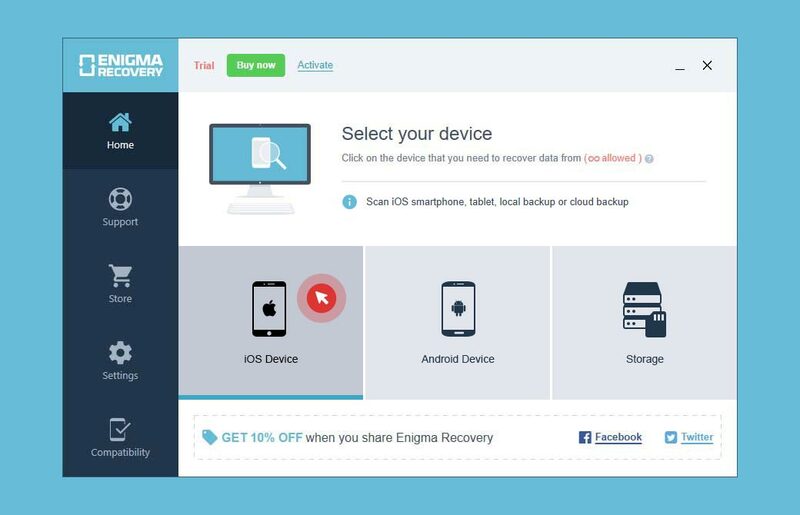 Enigma Recovery is designed to work hand-in-hand with the free restore app. The software helps you to extract the items you want from your backups and push them onto your iPhone, iPad or iPod touch. It also allows users to export records out of your backups to your Mac or Windows PC. In other words, you will have your own version of the information in various usable formats. Even if your iOS device has been stolen or damaged, this software will use your iTunes back up to locate and restore important documents to a brand new device. Recover essential data without your phone with the aid of your iTunes or iCloud backup file, should you have one available. The Enigma software program has pioneered a new iPhone data recovery approach. It is the first of its type. This has solved problems iPhone customers have had to put up with for too long. Enigma Recovery has already recovered over 1 billion deleted data files from iOS devices. It is available to download now on both Windows and Mac computers. Enigma recovery constantly crashing didn’t work as advertised. Screen shots and full details about my system and iPhone were sent to the company tech support multiple times with no solution offered other than to remove and reinstall the Enigma recovery software. Finally after all failed I asked for a refund they gave me the runaround, I asked again several times with my proof that Enigma Recovery is not recovering anything for me and again I was not issued one. I finally called the company by phone and was told that they never received any emails from me!